If you're still wondrin where to spend your Saturday on, perhaps you can consider treating yourself for the hard work you've put into the job this week! 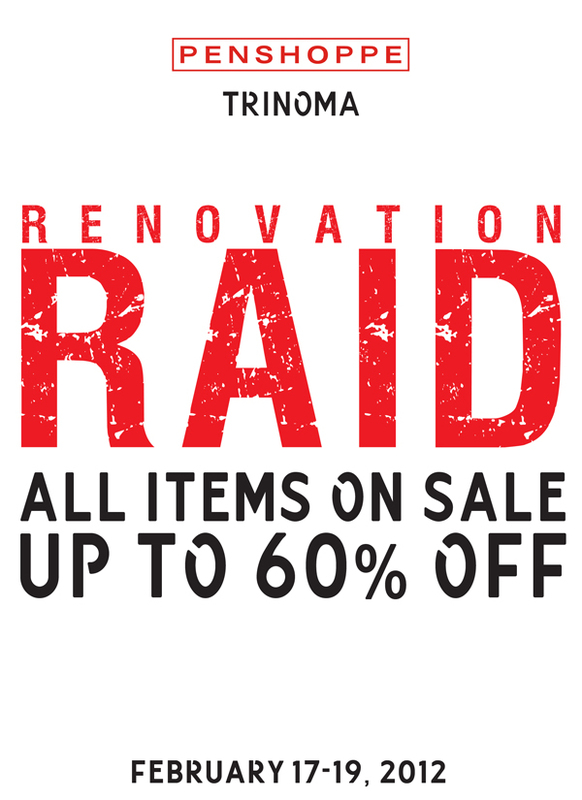 To make the shopping spree a lil less, well, guilt-free, you can check out the cool stuff at Penshoppe Trinoma's Renovation Raid. All items are on sale and who knows, you could be taking home the wardrobe essentials you've been wanting for more than half the price off! Don't forget to tell the girl friends, too. It could be a fun, de-stressing moment for everyone in the gang.